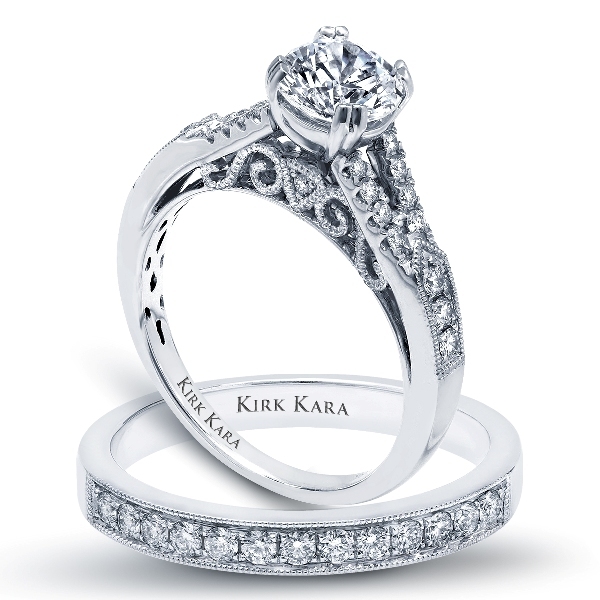 HANDCRAFTED PLATINUM OR 18K GOLD ENGAGEMENT RING SET WITH FILIGREE ACCENTS. 0.27cts. DIAMONDS. CENTER DIAMOND NOT INCLUDED. MATCHING BAND WITH 0.23cts. DIAMONDS.